Getting scared taps into something deep within the heart of man. The pure, primal adrenaline of fear is still as powerful a motivator for us as it was for our ancestors struggling for survival on some distant simian savanna. Embedded within that fear is a labyrinth of uncertainty, the same mystery of death that also imbues the mystery of life. One mystery threatens us, the other drives us towards a cliff of unanswerable questions. We fear what we don’t — or can’t — know: What is my purpose? What causes things to go bump in the night? Is there a real me? How did this Ouija board get back into my house after I threw it away? Will my next decision result in a trick, or a treat? These are tough questions. They lay dormant beneath each Halloween celebration, treacherous waters we navigate only with a compass of willfully distracted ignorance. As luck would have it, there is a light guiding us, a modern day Virgil for our Inferno of existential fear: A.J. 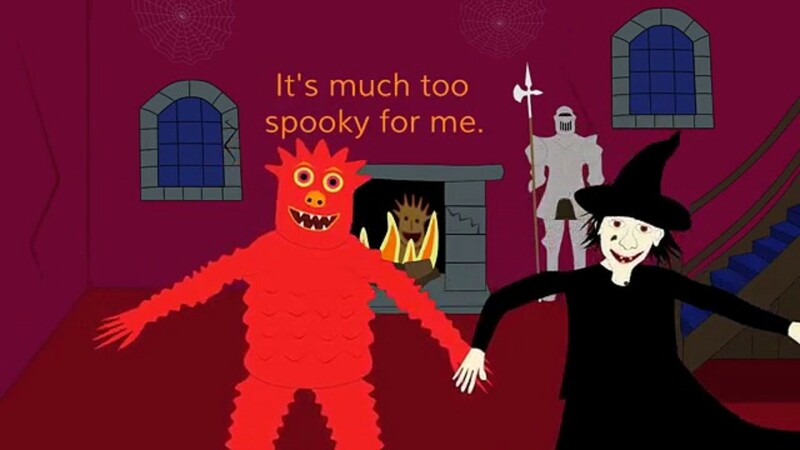 Jenkins, singer/songwriter for KidsTV123 and poet laureate of all things spooky. Jenkins himself is a mystery. Despite racking up over a billion YouTube views, nobody knows who he is or where he is. Only rumors persist, which is pretty spooky in and of itself. What little we know about the man, however, is counterbalanced by the ideational wealth he has left behind in the form of catchy jingles and spooky animated dances. Here, we will uncover the mystery of the man by treating his work with the philosophical and critical rigor it demands but so seldom receives. Let us start from the beginning. 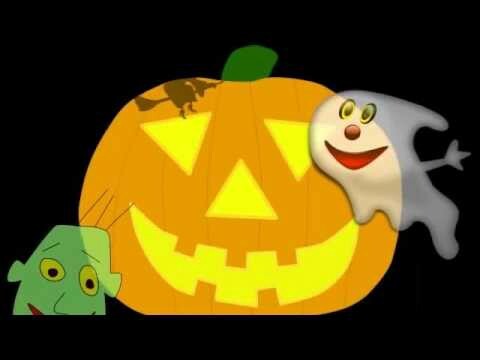 Our journey begins in 2010 with “Pumpkin Pumpkin.” This is the origin story of Jack O’Lantern, who will later become the central character in Jenkins’ epic tale. It starts off with an ordinary pumpkin, endowed first with the gift of sight: “Let’s give you some eyes,” Jenkins croons, implying that whatever creator is responsible for endowing the pumpkin with life is a plurality. The pumpkin is then given a nose and a scary smile, completing its transformation into Jack O’Lantern. The realization of self is the focal point of this origin story, and Jenkins intentionally blurs the lines between “other” and “self” in a nod to Descartes’ famous proposition that one exists only inasmuch as they are conscious. Do we therefore create ourselves through our consciousness, just as the pumpkin is a “you” before becoming the “me” of a Jack O’Lantern? The implications are compelling, but ultimately there are more questions to ask than there are answers in this video. Plus this is one of the least spooky videos in the bunch. It took two tortured years for Jenkins to release his next video — the longest time between videos to date — but it was well-worth it. For his sophomore effort, Jenkins tapped into an aquifer of creative genius. “Spooky Spooky” exists in that rare intersection of artistic vision, critical acclaim, and popular success. Here, Jenkins begins to fully realize the scope of his spooky universe — his Spookiverse, so to speak. On top of the witches and ghosts and ghouls from the previous video, new fiends emerge: monsters, vampires, ghosts, black cats, spiders, and skeletons. The kicker: buried in the midst of those characters is our old friend Jack O’Lantern. 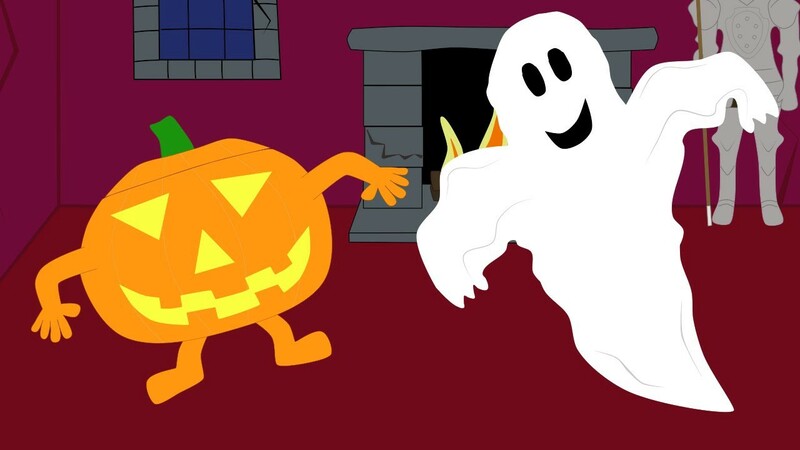 In “Pumpkin Pumpkin,” Jack O’Lantern scares away the evildoers with his scary smile, but here he is dancing a spooky dance alongside them. Is he a hero, or a villain? It’s a fascinating question that digs into the fractured nature of man. The chorus asks the question “what kind of spooky thing are you?” This ultimately poses the question of whether or not there’s a difference between us and the things we fear, or if our inability to recognize the monsters lurking in the darkness within ourselves is the root of our fears. If we are to accept, as “Pumpkin Pumpkin” posits, that we are reflected in the Jack O’Lantern — that we create ourselves through conscious thought and rid ourselves of our fears by embracing them — then this duality of self is congruous with the contradictory identity of Jack O’Lantern. “Spooky Spooky” is arguably Jenkins’ crowning achievement, a true masterclass of the power of artistic thought. And of course, the spooky dance is sure to chill the core of even the most hardened Halloween heavyweight. The video places us in an unknown house of supremely spooky ambiance. Ominously, a suit of armor stands guard as a fire burns. We soon find out this fire is not simply a source of warmth on a cold Halloween night; it’s the home of the fire monster, a terrifying beast who smiles as flames rage around it. The fiends from the previous videos are no longer just doing their spooky dance — they’re inhabiting our world in increasingly aggressive ways. A monster and a witch hold hands as they levitate and disappear, and the ghost coming down the stairs is absolutely menacing. New unnamed monsters join in on the haunting, including one lurking under the stairs and a blood-red winged creature in the window. This is Jenkins at his most stylish and polished. Yet in spite of the flare, Jenkins doesn’t lose his sight of the greater implications of horror. Jack O’Lantern mockingly covers his eyes as Jenkins wails “I can’t look, it’s much too spooky for me,” further blurring his role. Is he here to protect us, or is he here to spook us? When Jenkins sings that he would “rather not know” what is scaring him, it builds off of his previously-established ideas that we would rather embrace our ignorance than face our fears. With a focus on setting and action, this is a worthy followup to “Spooky Spooky,” and a classic in its own right. If this is too spooky for you, no one will blame you. As brilliant as “Spooky Spooky” was, and as perfect as “Too Spooky For Me” was, “It’s Halloween” is unquestionably Jenkins’ magnum opus. The mood takes center stage here, opening with a hauntingly muffled organ as Jenkins sings “It’s that spooky time of year again…The night is dark and all is quiet.” Indeed, it’s Halloween. It is Jenkins’ most dramatic effort yet. He is no longer building the Spookiverse. As any true artist knows, there comes a time when you must divorce yourself from the art itself. Here, Jenkins lets his creation run free in the Spookiverse. He shakes up their world like a snowglobe and sits back to see what happens. Zombies and mummies make their first appearances in the series, as well. Most notably, Jack O’Lantern makes a triumphant return. The chorus brings hope — and clarity — in the form of the pumpkin we met so many years ago: “Don’t be scared,” Jenkins insists, because Jack O’Lantern is going to chase away all of the fiends in the Spookiverse. Why? “So you can play your game.” Finally, we see Jack O’Lantern for what he truly is: protector of the game. The game, of course, is Trick or Treat. Or, as most of us call it, life, for what is life if not a series of tricks and treats? It’s not all hopeful, though. Implicit in the chorus is the idea that the monsters will return, which is why Jack O’Lantern will chase them all away “if they come back again.” This is a powerful statement on the resilience of evil, for as long as man lives, the evil inside of us will continue to manifest into reality. Jenkins returns to his philosophical ruminations when he says that it is “time to put your costume on.” If we refuse to face the monsters within, why not project them through our outward appearance for all to see? When he dares us to “see if [we] can scare someone,” he is stitching back to lyrics from “Spooky Spooky,” when he asks us what kind of spooky thing we are. Most unique about this video, however, are the religious overtones. Jack O’Lantern sacrifices himself to spook away those who would spook us. If this is not a clear enough parallel to Christ, then having Jack O’Lantern ascend off the screen should leave no doubt. The video ends by listing all the characters up until now. This is an homage to the original sin, whereupon man learned the knowledge of good and evil. Yet as the previous videos suggest, the line between the two is still blurry, as the capacity for both exist within each of us. More than anything, it’s a dare. Do you, viewer, know which of these fiends is good and which is evil? If not, are we still in Eden? It’s also worth noting that Jack O’Lantern, the Alpha and Omega, is listed last. There’s a thin line between genius and madness. Jenkins, you crazy for this one. But you’re also, without question, a genius. Three bona fide classics in a row, in any artistic medium, is a remarkable achievement. In Jenkins’ 2015 video, simply titled “Halloween,” the strains of his success start to show. Visually, lyrically, and conceptually, “Halloween” is plain and derivative. 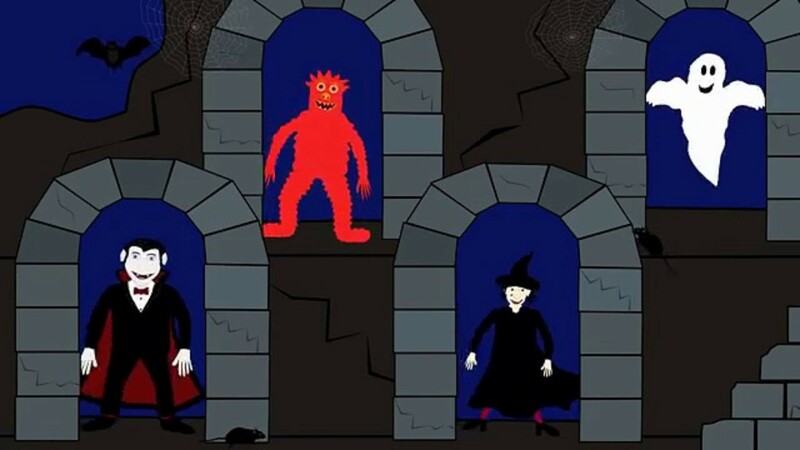 Monsters do spooky dances, disappear and reappear, and Jenkins tells us their names again. WE KNOW THEIR NAMES, A.J., YOU TAUGHT US LAST YEAR. Sometimes the weight of success can start to wear down on the artist, pressuring them into thinking they have to keep topping their previous efforts. This video reeks of artistic insecurity. Jack O’Lantern, who is further clarified as a guardian who “lights the way until you’re safe at home again” is the “only light you see” on Halloween — other than the moon. Comparing Jack O’Lantern to the celestial body of night is crude and contrived, a painfully obvious metaphor that is below Jenkins’ craftsmanship. Though the subtlety of his allegorical and poetic musings were certainly lost on some, there was no need to be so overt here. Art works best as a mirror when we don’t even realize that it is a mirror we’re looking into. Jenkins proved he is more than capable of achieving such nuance. If the viewer weren’t so relieved by the video’s end, the echo effect when Jenkins says “Happy Halloween” would be delightfully spooky. Simply put, “Halloween” is devoid of both ambition and adequate spookiness. Following the critical flop of “Halloween,” Jenkins makes the common artistic mistake of inserting himself too much in the narrative: “I went out on Halloween night,” Jenkins announces, “what did I see?” He then proceeds to count various objects he saw during his night out. Aside from the relentlessly un-spooky melody, Jenkins makes several strategic errors. First, he counted upwards. One Jack O’Lantern, then two bats flying in the sky, then…the audience stops caring. We get it, A.J., you can count. 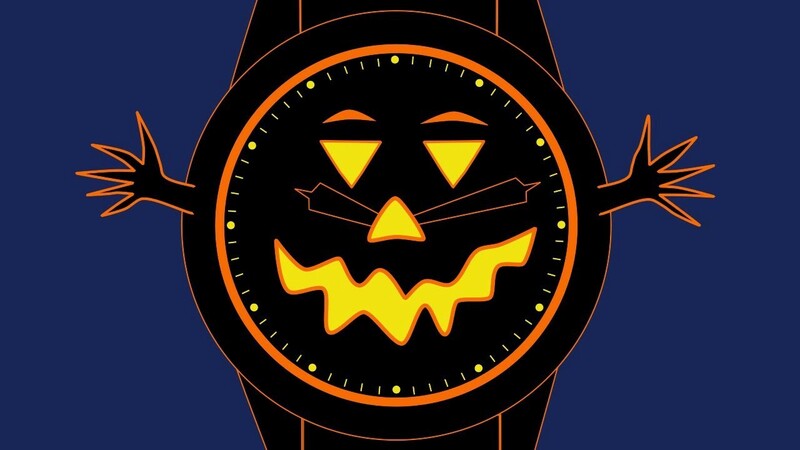 The implications of a countdown are far spookier, and given the importance of Jack O’Lantern in the Spookiverse, it was foolish to start with him instead of end with him. Jack O’Lantern was given the correct number, but the wrong order. The accompanying descriptions for the fiends were a nice touch, all things considered. 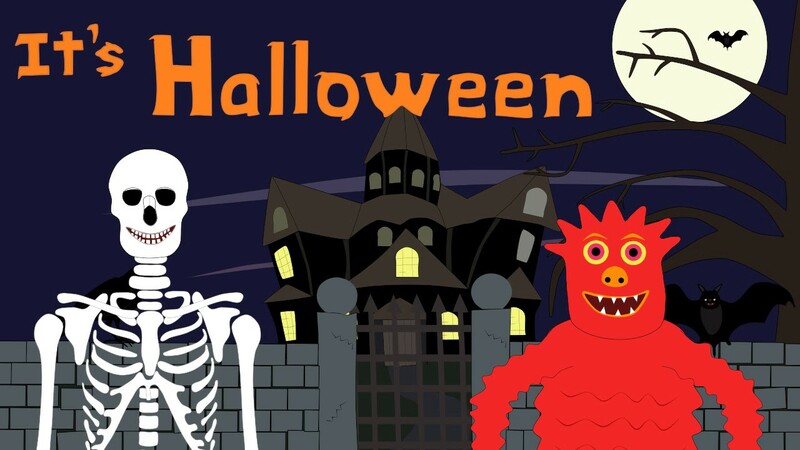 Witches are wicked, ghosts are scary, skeletons dance and zombies are — you guessed it — zany. Another strategic error arises, however, when spiders are adorned with the word “spooky.” This is the franchise word, and spiders are, at best, tertiary characters in the Spookiverse. Unless given to Jack O’Lantern, the word “spooky” should have been off-limits. Ultimately, “Halloween Night” was cliched and structured in a tiresome format. It comes off as a Halloween version of “The Twelve Days of Christmas.” This is Halloween, A.J., we need original contributions, not cheap knock-offs of Christmas carols. “Spooky Time” is a return to form and a breath of fresh air for the series. A true artist can achieve profound effect by simply painting a picture. No exposition or explanation is needed if the feeling comes across. This is how Jenkins succeeds after two forgettable years. Jenkins experiments with his voice in “Spooky Time” more than in any of his previous videos. When Jenkins begs “please someone tell me why are the skeletons dancing?” you feel the earnest hopelessness in his inquiry. 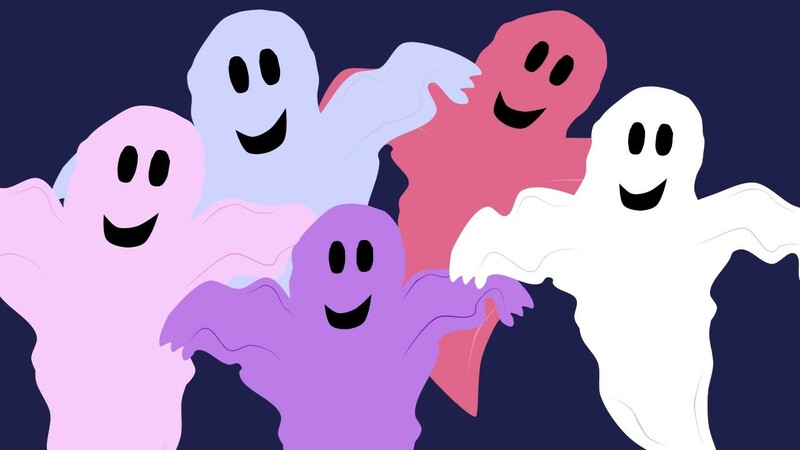 During the bridge, three ghosts approach singing “ooooooh,” and when they reach maximum spookiness, they snap into an “ah!” Jenkins seems free here, perhaps liberated from his own fear of failure after releasing several critical darlings in a row. Jenkins also doesn’t shy away from the existential philosophies that defined his previous work: “All around the neighborhood, everybody’s playing trick or treat. Dressed up in Halloween costumes, Jack O’Lantern’s lighting up the street.” This is a powerful amalgamation of his ideas, that trick or treat is a distillation of life, and Jack O’Lantern — a reflection of our power for good amid the suffocating darkness of the world — is both a participant in and a savior from the spookiness of Halloween. Werewolves roam free in gardens and zombies claim roofs as their own. This is spooky stuff no doubt, but spooking the viewer is not the only purpose for such imagery. Jenkins continues: “Though I can’t be certain, I think my next door neighbor is a vampire.” Here, the spooky house from previous videos sits adjacent to a regular house. It’s been there the whole time, just as the monsters within us have been there the whole time — on our roofs, in our gardens. We diffuse our fears by projecting them on to our neighbors, but ultimately it is a reflection of what we fear in ourselves. Though this can certainly be interpreted as an indictment on the current wave of American nationalism infecting our politics, Jenkins smartly avoids any overt polemics. Jenkins also expands into new territory. Spooky time isn’t a specific time. Time itself is spooky — every moment. The time on the watch changes as the face changes. Both the hour and minute hands move back in time; the only thing scarier than the present moment is our inability to free ourselves of our pasts, which continue to haunt us in the present. Implicit here is the failure of the previous two videos, unquestionably a result of the artistic strain Jenkins felt from the mounting pressure to deliver classics every year. In “Spooky Time,” he is announcing that those failures are behind him, as is his fear of failure itself. In the video, Jenkins asserts that witches laughing, creepies crawling and black cats calling are “the spookiest sight.” While those images are certainly spooky, I disagree with Mr. Jenkins. 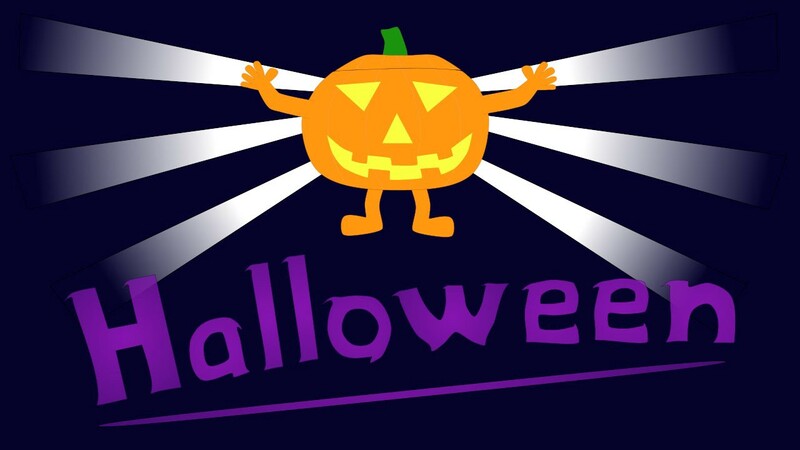 The spookiest sight will be the day that Halloween comes and goes without any new videos. Now more than ever, the voice, animation, and artistic imagination of A.J. Jenkins are needed.